Rockstar is aware of technical difficulties with initial release of Grand Theft Auto Online and will "work around the clock" to smooth things out. 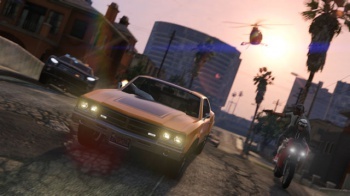 Technical difficulties have prevented many Grand Theft Auto Online players from completing the first tutorial mission. Rockstar apologized in a press statement issued today and announced that a patch for the PS3 version is already live, and the Xbox 360 patch will be live "as soon as possible today." Rockstar pointed to its support site where there is an article listing the most common technical issues. Subscribing to the article will keep you informed on any updates Rockstar posts. You can also report technical problems to Rockstar Support or on twitter. Multiple issues have prevented a smooth experience with GTA Online. Rockstar stated a PlayStation Network server issue was limiting the amount of possible concurrent users, preventing many players from accessing GTA Online. The company said the problem has been resolved as of this morning. Players are still reporting problems with completing the first tutorial mission; Rockstar is working on "unblocking this for everyone as soon as possible." For those who have made it past the tutorial mission, instability across the GTA Online services is still causing problems. In response, Rockstar disabled the option of purchasable GTA$ cash packs. This does not affect GTA$ earned by profitable gameplay activities. Technical issues upon release of an online service are all too common, and hopefully players will be able to play the game without interruption soon. Check Rockstar's support page for details on problems. The company has asked for any non-technical-related feedback to be sent to [email protected].